As a certificated FAA repair station, we operate in the Aerospace field as well as the Marine & Industrial field working with the airlines, engine overhaul shops as well as original manufacturers such as GE, Pratt & Whitney and IAE. We are a privately held business in Mentor, Ohio, in operation since 1985. We offer a family style environment with – more… ample opportunities for individual growth at all levels. Our company’s philosophy is TRUST AND FAIRNESS. We pledge to live by those words in all our dealings with our employees, our customers, and the industry we serve. We believe that we can operate with a minimum of work rules and policies if individuals and the company first ask, “Is it fair?” before acting on individual or company needs. 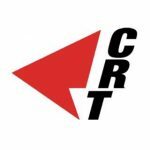 Come join the CRT team and watch your career soar!